***This party has been closed for a couple weeks now but today on 10/14 accidentally deleted some of the links while making a new link party. My apologies to any of those affected. My retreat last weekend was filled with a lot of laughs and fun! However it started with a walk in the rain by myself crying while texting my husband- I was missing my comfort zone of husband and baby! Once everyone arrive and I learned that I was not the only one crying about not wanting to go I found my groove and enjoyed myself. It was great getting to know friends better as well as starting to establish new friendships. We've lived a pretty transient life since moving here (this is 'home base') so making strong lasting friendship takes a lot longer sometimes. Some more exciting news- I registered for my first craft fair! EEK! I am a tad nervous but also a big ball of bubbling excitement! There's a lot to do yet and much to figure out but I have just over a month to get there. Our Feature of the Week! Angela from Angela's Adventures is our featured mommity this week! She is mom to three super darling little ones and is a wife and follower of Jesus Christ. What I love is that she too is a child of the Pacific Northwest! Maybe she is neighbor to Andrea and I?! 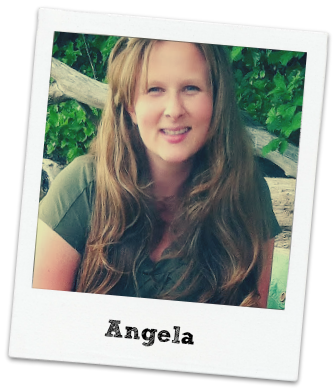 Are you near Kitsap county Angela?! She uses her blog to document the life of her family and to celebrate the little things. 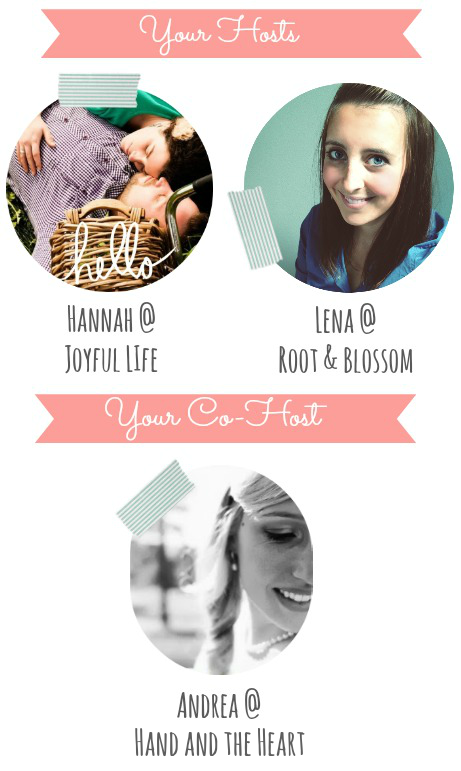 If you are new to the hop PLEASE leave us a comment letting us (Hannah, Lena, and Andrea) that you are new and how you are following so we can return the favor! 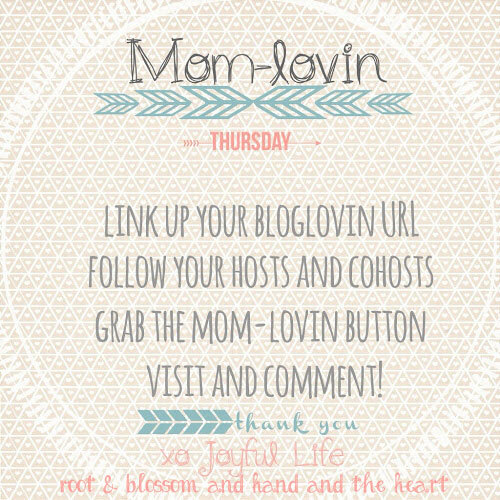 This is a free opportunity with little to no hassle (just copy paste some HTML) to network with more mom bloggers! Thanks for hosting as usual ladies! I totally get home sick too if I'm away - can RELATE! Glad to hear it changed up. What are you going to make for the craft fair!? So exciting! Hi Lena! Thanks for hosting. I'm already following many of you :-) so that's awesome. I'm only a few likes from 100 on my facebook so I'd love it if people have the time if they'd stop by and like my page. Thanks! Thanks for always coming over to mingle, Marta! As far as the fair goes it will just be my Etsy shop in real life plus some other stuff I'm working on but haven't listed yet. :) I keep selling stuff from my shop (a bad problem to have) so I think I am going to have to put it on 'vacation' soon so I can build up my inventory better! I sometimes feel like we're still transitioning into getting more involved- with bouncing between here and Japan I feel like we have to start over every time with the same church. :/ It get's easier every time though so that's encouraging.